Great renovated house with large garden and amazing pool. We have one double bedroom with ensuite available. It's an older style house but has been newly renovated inside. It is very clean, super quiet and bright. The room comes fully furnished with a double bed if you wish or can be adjusted the way you need it. Lots of storage and a small desk to work on, there is also a large build in wardrobe, block out curtains and new carpet. You can have Netflix and access to foxtel now as well as unlimited internet is included. There is a bus 5 minutes down road that goes to MQU or MQ shopping centre. The train station is a 15 minute walk, or trip on the bus. We have a coles and lots of other stuff located in Lindfield. 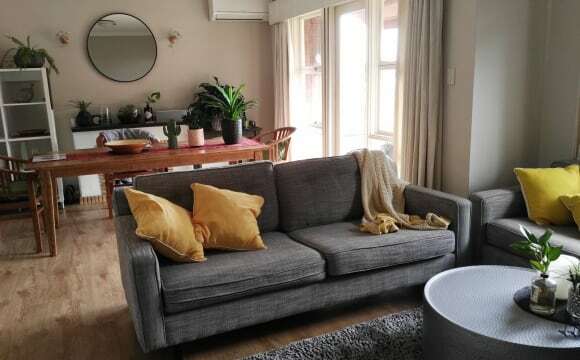 The property is located a 7 minute walk to lindfield train station.It is fully furnished with your own bathroom and all renovated.The room size is suitable for couples and singles.The place is quiet and clean.welcome to inspection! 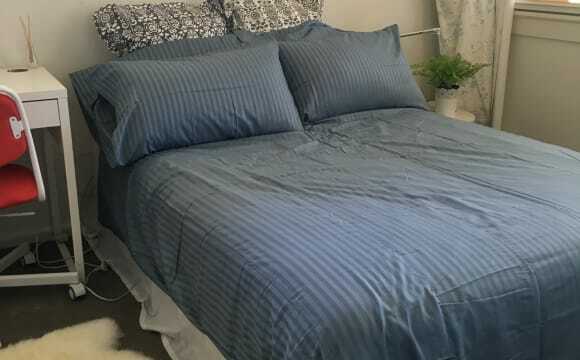 ALL BILLS INCLUDED - CONVENIENT LOCATION IN SYDNEY- STUDENTS ONLY Looking for a female non-smoker exchange / medical / university semester student. Ideally we’d like two female students who prefers a quiet environment to focus on their study to share our brand new granny flat. Must have good kitchen cleaning habits and be able to speak fairly good English. No couples and No smoking CLOSE TO: MACQUARIE UNI - 30 min travel by train and bus (5 min train to Gordon and 12 min bus 197 from Gordon station to Macquarie uni campus), or bus 565 from Lindfield train station to Macquarie uni campus (25 min bus trip) UTS, UTS insearch and any other colleges/institution in Sydney SBD - 25 min one direct train from Lindfield to Sydney SBD 10 min walk to Lindfield station; 10 min walk to shops and supermarkets (Harris Farm, IGA Supamart and Coles supermarket) 5 min train or 10 min drive to Chatswood ABOUT THE ROOM: Your very OWN personal LARGE private furnished room includes a single bed, double built in wardrobe, desk, fresh linen and a window. 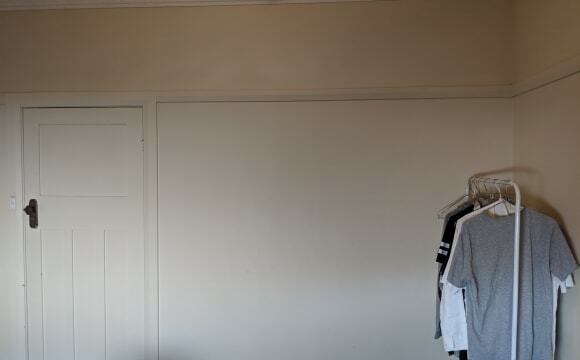 Brand new wardrobe and mattress. THE HOUSE &amp; ENVIRONS: Brand new granny flat with relaxed ambient atmosphere / large very green garden courtyard / heated swimming pool/share with only one friendly person RENT, BOND &amp; WHAT’S INCLUDED: Free Unlimited Broadband Internet WiFi / 2 Weeks Rent in Advance plus 4 Weeks (Rental) Bond in Advance - The bond is refundable or can be used as the final 4 weeks rent/ All Bills Included / min 3 months stay. BEFORE ASKING TO SEE THE ROOM: We really need to know some basic personal details: What’s your first name and age? Where are you from? How long do you want a room for? Are you an exchange student, semester student or are you doing an internship etc. The bedroom with an ensuite is available now, which has been recently renovated is on rent, it is a beautiful room with furnitures so you've got plenty of storage space. You will have a recently renovated ensuite bathroom and large windows, so good amount of sunlight! Unlimited internet and all utilities bills included int he weekly rent. The room has been recently renovated with new carpet :) You also have a big desk and a single bed with mattress. Lindfield is a peaceful neighbourhood, and the flat is only 7 mins walk to Lindfield train station, and it takes about 25-30 mins to Central. There are nearby supermarkets likes Coles, 7-Eleven, Harris Farm, KFC, Subway, and some nice cafes. It's a gorgeous three level house with an enormous living area. There is plenty of parking in the huge front yard. Facilities include a private gym, a bar, a tennis court, a sauna room, a Japanese style garden and more. 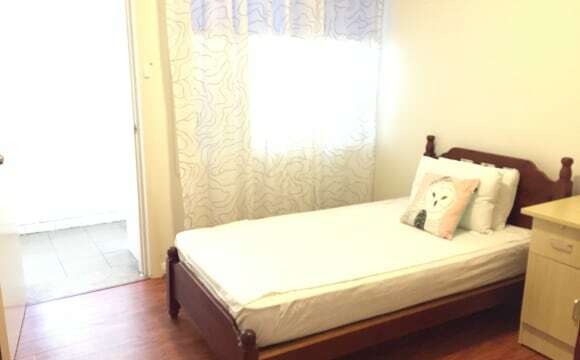 6 mins walk to train station 5 mins drive to Chatswood 10 mins drive to Macquarie University 6 mins walk to Coles All rooms are furnished, ensuite and with a walk-in closet &amp; a balcony. We are a quiet, clean and peaceful family. All the other tenants are of the same kind. We have been living happily together like a family for years. Come join us. BTW, It's an all female property. Cottage residence, and former manse, on the physical grounds of a church property site. Cottage has four renovated bedrooms, though only there will only be a maximum of three tenants, so will only be sharing with two other people. There is no dedicated internet connection. Because the residence is on church grounds any new tenant will need to be especially mindful and considerate of other church facility users. Off street car parking available, but may have to compete from time to time with other church property users. Safe and secure environment. Cottage recently renovated, new carpets, interior painting and upgraded kitchen. Situated on the Pacific Highway in Lindfield, and close to the Lindfield shops and Railway Station. Rent heavily subsidised by the Church and fully includes electricity. No special terms or house rules, save looking for someone who is considerate, respectful, responsible, tidy, and willing to shoulder house duties. Long-term stayers very much preferred (average turn around in the past six years has been over two years). References probably will be required. Also very much prefer a female and someone who is not housebound. Available 14th April ONWARDS 1 Room in a modern spacious house located just 7 min walking distance from Roseville Station. 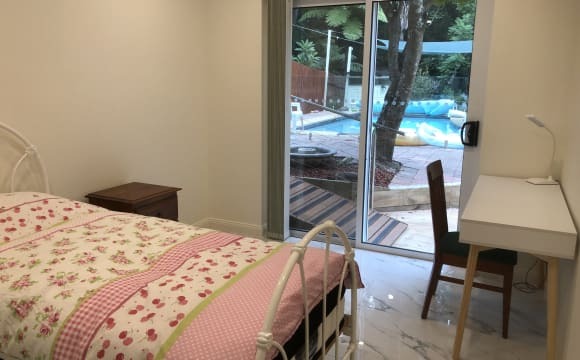 One station away from Chatswood and 20 mins to North Sydney or ~30 mins to the city Room: 190 PW Converted Sunroom with a single bed and portable wardrobes. The house is immaculately clean, spacious and generally quiet. It's fully furnished and all bills are included in rent. 1.5 Bath (Toilet &amp; Bathroom separate) No smoking inside. 4 weeks fully refundable deposit / bond is required. INSPECTIONS: Currently (Till 14th April) weekends only. Please message to arrange a time. 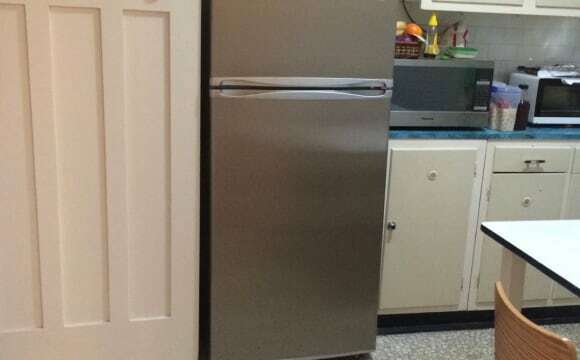 3 minutes walk to Roseville station. Bright and airy filled with sunshine, surrounded by glass windows framing beautiful green district views. Located at the rear of the block, oh so quiet, the spacious layout include a large living/dining area, modern kitchen with gas cook top and oven. The bathroom has a shower over bath. Enjoy the idyllic village lifestyle footsteps to the cinema, shops, cafes, buses and a 3 min walk to Roseville train station (approx 200m away). Train to the city is approx 23 mins. Your bedroom is unfurnished, however has a free standing wardrobe. Can fit a double bed. Strictly no couples, no pets and non smokers only. Also parties and sleepovers are not allowed. 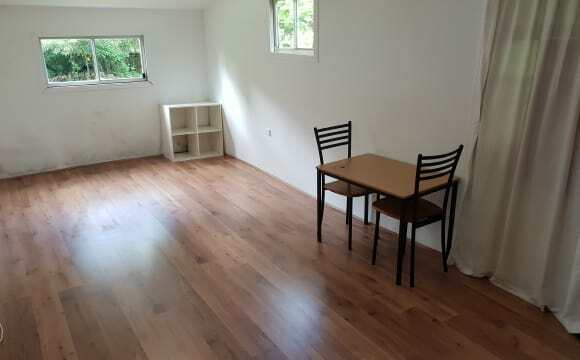 Private, spacious room with plenty of natural light in a two bedroom house (duplex). High speed unlimited internet is available, house is furnished and all amenities (fridge, washing machine etc.) included. There is a private backyard with plenty of room to sunbake, and a sweet little porch. The house is located in Roseville which is the suburb next to Chatswood. It is less than 10 minutes walking distance from Roseville station, and between 15 and 20 minutes walking to Chatswood. 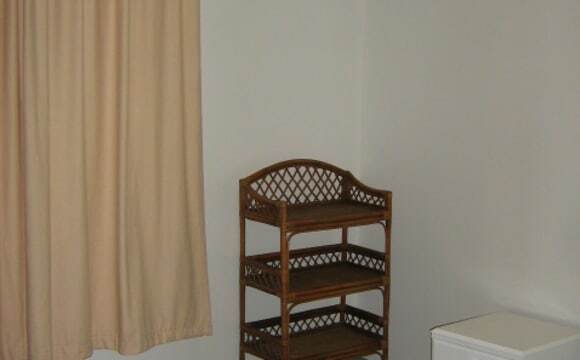 Very convenient location, close to shops and plenty of street parking. 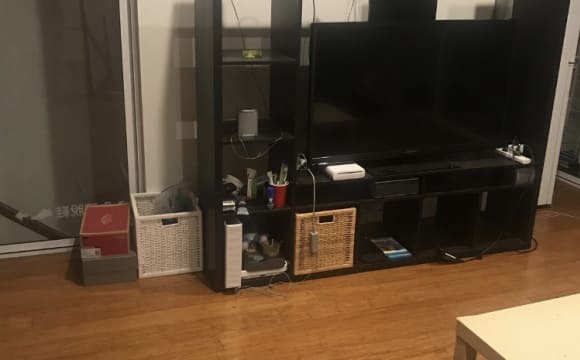 Included with the room are two human housemates and two cat housemates (catmates), all of us are friendly, laid back and welcoming. Looking for someone friendly, communally clean and responsible. Private room with own bathroom available, in a brand new apartment building and only 5 mins walk to Killara train station. Rent is all inclusive and includes all utilities (electricity and water), Netflix, and internet/Wi-Fi. - new building with security intercom - large living area - new kitchen - Ducted air conditioning and heating - Enclosed outdoor terraced area - Internal laundry with washer/dryer" About your room: - 3m x 3.8m - built-in wardrobe - furnished with new double bed - leafy green views - own private bathroom with shower Close to the city and also a variety of supermarkets very close by Fully furnished apartment. Local post office is only a 5 minute walk up the road from the unit. Easy and short and quick 10 Minute drive to Chatswood. 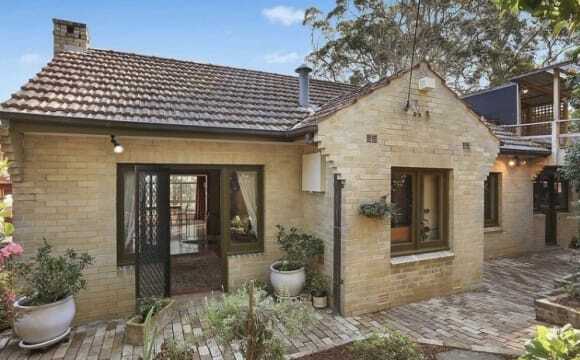 Easy short 15 Minute drive to Hornsby. 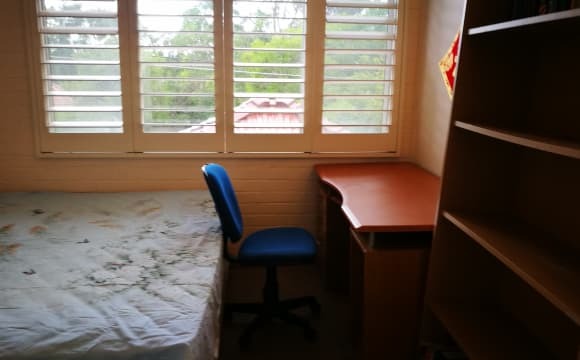 Short 10 Minute drive to Maquarie park and Macquarie University. Bus service available from Gordon Train Station to Macquarie University and Shops. Chatswood has a wide variety of shops and two large shopping centres being Westfield and Chatswood Chase. Local shops are only a 5 minute drive up the road. Gordon shopping village has a great variety of shops (Woolworths, Harvey Norman, Gordon Train Station and Restaurants. Gordon is only one Train Station stop from Killara. Also Lindfield has a wide variety of shops (Coles) and restaurants. Lindfield is only one Train Station Stop from Killara. Short 15 minute drive to Hornsby. Spacious property that is very close to public transport. Lots of communal space to share. Located about 5-10mins walk from Chatswood train station/bus interchange, shopping centres, and other amenities. The street is just off Pacific Hwy, but we're hidden amongst other apartment blocks with leafy surroundings, so it's quite peaceful. The apartment has two balconies (one attached to a bedroom), and we have regular visitors with cockatoos popping by. The whole place is furnished with all necessary furniture including a sofa bed with chaise, dining table, fridge, washing machine, etc., so all you need to furnish is the bedroom. I've loved living here the last 2 years, and I'm sure you'd love it too. My home is a lovely roomy Federation house with light and airy front room to let. Share house with friendly lady owner. Clean, quiet and private. Pool and large back garden and sundeck. 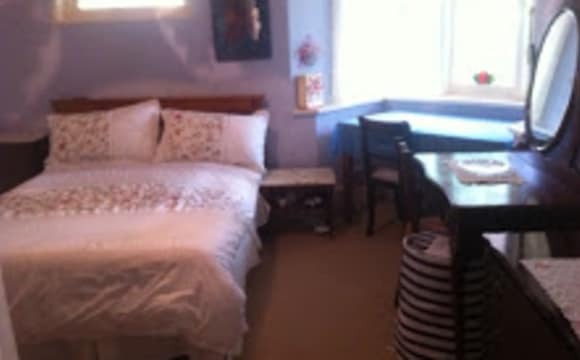 Furnished room with double bed, wardrobe, chest of drawers, dressing table, desk and lamp. Gas heating in winter. 3 mins walk to Xpress bus to city and 20 mins walk to Roseville station. 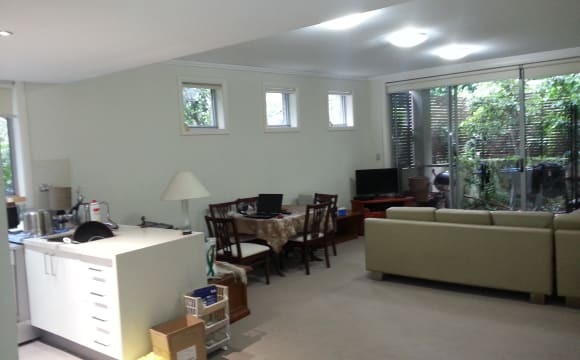 We have one single room (picture 3-4) available in the house we're renting located in Chatswood West. 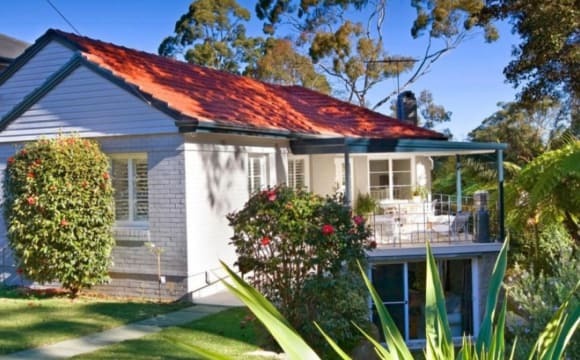 We're two students (25 and 31) working in a research center at Macquarie University and renting this beautiful house. We'd like to find a flatmate to rent the lasting available single room. House is fully equipped with kitchen, living room, bathroom, washing machine and dryer, air-con, etc. 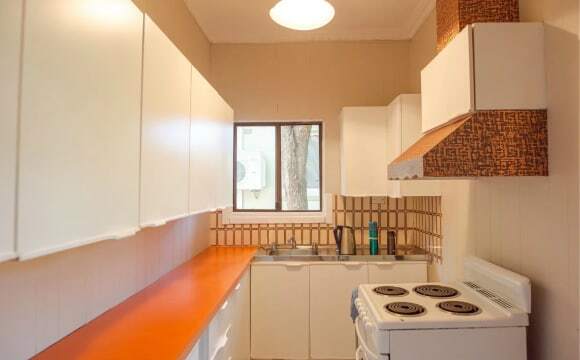 Kitchen is also fully furnished (microwaze, oven, fridge, dishwasher...). Bathroom has a bathtub. There's a second toilet in the laundry room close to the available room. The house has a backyard and most of all, a very lovely and open view on the Lane Cove National Park :) :) :) Possibility to park offstreet but we should be buying a car very soon ourselves so if it's needed we can discuss it. Bus stop is directly at the door either to chatswood trainstation direction (6 minutes, or 20-25 minutes walking) or to Macquarie University direction (20-25 minutes). Price is $225 per week bills not included (should be about $10-15 a week) / 2 weeks paid in advance and 1-month bond. Available now (17th April), inspections after 6pm or in week-ends. 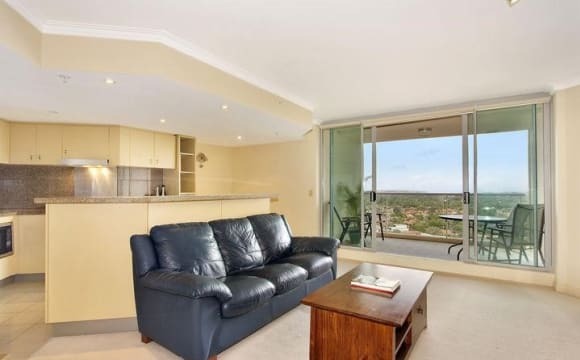 I've taken a lease on an apartment, near to Chatswood Station. It is situated on the 23rd floor, with views to the southwest. Apartment has a generous size kitchen, and good size balcony, living/dining etc. If you have some of your own furniture there will be plenty of room for it. I have just moved back from the USA, so are starting with not very much. I have Fridge/Washing Machine and getting the basics together, but the living room/dining could be a little sparse for a while. :-) nbn FTTB internet is connected. At least you can make it your home too rather than just feeling squished into somebody elses. Complex has pool/gym etc. Convenient to Chatswood station (less than 3min walk), and the Westfield, Coles, Aldi etc. Approx 18min commute to Wynard by train and about the same to Macquarie Park by bus. 3 min work to Chatswood station There are many local stores especially asian restaurants nearby Chatswood station. Especially, in Chatswood shopping malls, there are plenty of jobs you can apply including masseur, cafe waitress, or cook. From our property to shopping mall, it takes 3 minutes in walking. Good security- This is a well secured apartment unit that consists of two gym access and two swimming pools. (Indoor and outdoor). This is secure place for female especially with a big garden and several facilities, which are only for apartment residents to access. Quite and Clean house. Bus run near the house. Free street parking in front of the house. 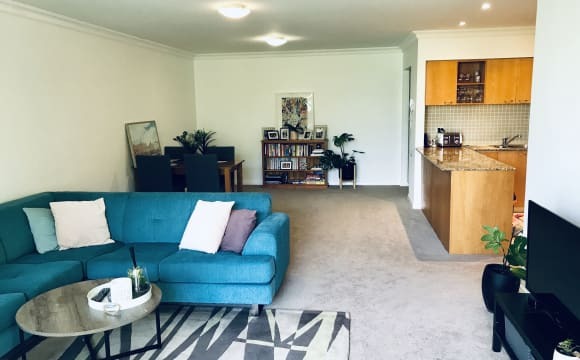 Looking for a (1) housemate to our furnished modern apartment located in the heart of Chatswood 2 minutes walk from the station and very close to shopping malls and various eateries. No couples, sorry! Features: - Very quiet and tranquil - Built in wardrobe - Unlimited ABN Internet access - Fan and Heater equipped - Huge Communal Balcony - Fully equipped Kitchen with stove, kettle, rice cooker, toaster, grinder, and oven. - Modern Bathroom equipped with amazing shower experience. BUILDING FACILITIES - Indoor and outdoor swimming pool - Massive FREE gym access with free weights and cardio machines (even a punching bag!) - Sauna (One at the outdoor pool and one at the indoor). 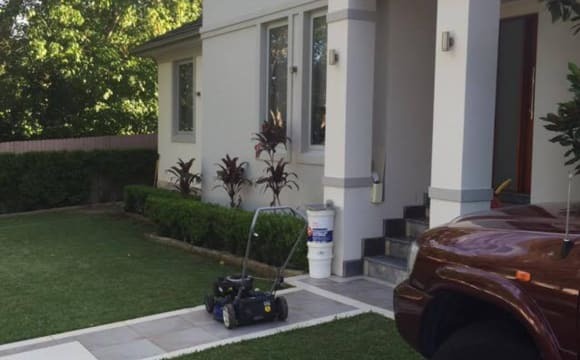 - Jacuzzi and spa - Private garden - BBQ facilities - 24/7 on site security in an extremely quiet and safe neighborhood) - MailBox - Very convenient offsite parking All inclusive as part of weekly rent. Have 1 cat. He usually stays inside my room If you are an animal lover it would be hugely favorable. 3 Weeks bond. Min stay 2 months. Looking for someone who is clean and tidy, respectful to other people. You would be sharing with me and another housemate. We are in our 20s, friendly and socialize during our time off. Any inquiries/inspection are welcomed. All bills included! The property is on a quiet leafy street with easy access to public transport to Chatswood and CBD. Very spacious older house. 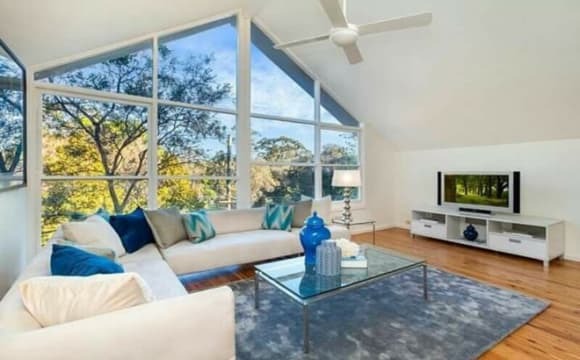 5mins walk from Chatswood station. House is nice and open with a big deck and surrounded by trees. Great for entertaining. Unlimited wifi, fetch TV Netflix, aircon, BBQ. Last housemate moved out to be closer to work. Rent is unbelievably cheap as we lease monthly (with no intention of going anywhere soon) and it is split between 4. The room has a built in wardrobe and we have a spare mattress if required. The unit is 3 mnts walk to train station and shops very convenient. We have single room with attached sunroom available soon in a all female flat. Your own room furnished with single size bed, wardrobe and desk. 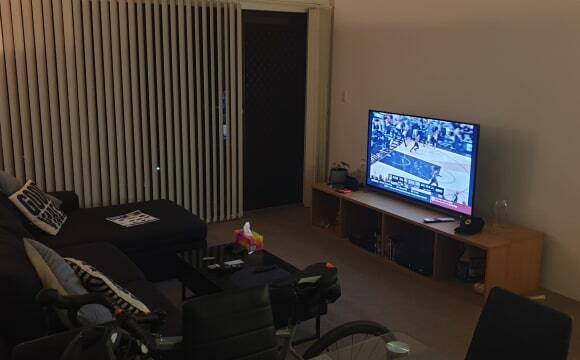 - Only 300metres* walk to Chatswood Interchange and Westfield - On Pacific Highway and Ellis Street Suit tidy female student and young working professional. One person per room. You will share with 2 Japanese and 1 Australian Asian girl. Please text for quick response. 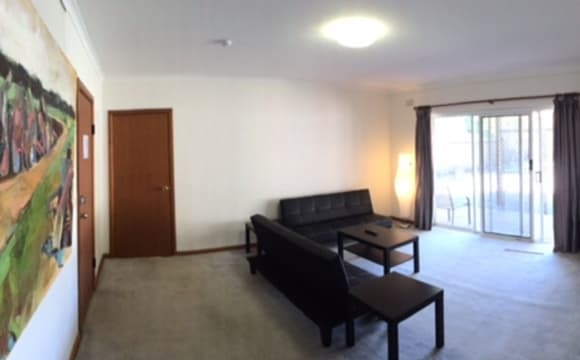 Furnished room available in popular apartment block, next to Chatswood train station and westfield. Seperate bathroom and shower. Pool. Air-con. Great views of the city, bridge and harbour. Price includes all bills, gas, elec, etc, unlimited internet, netflix and stan. 1 min walk to Chatswood train station. Perfer people look for shorter term 3-6 months.